A very common lizard in most habitats, it is often seen on fences, rocks, logs, and on the ground in all but the coldest winter months. 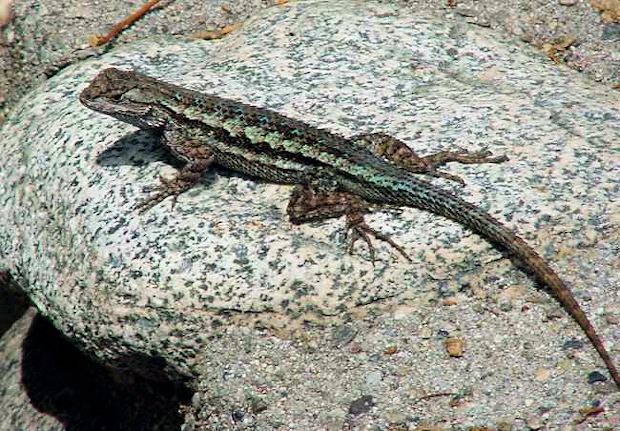 It is light gray to almost black above, with brilliant metallic-blue throat and belly sides (slightly paler in females), and spiny scales. It is quite active, basking in the sun and feeding on small arthropods. 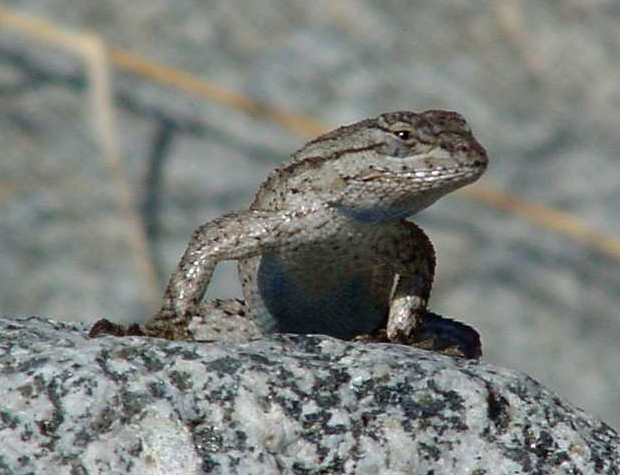 The males exhibit a fascinating "push-up" behavior for courtship and defense. Total length can reach about six inches.